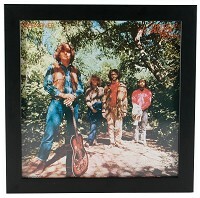 This high-quality real wood frame is sized perfectly to display an LP jacket through a Plexiglas window. Perfect for personalizing a space in your home, or to show off some of your rare and collectible jackets or those with the coolest artwork – a very classy decoration idea for any record collector. Makes for a great gift. 7. QRP Box/ 15 Box Bundle/ 13" x 8 5/8" x 13"
8. 5/ 10 Box Bundle 12" x 12" x 1 1/2"
9. Record Sleeves - polylined 12"
12. Record Sleeves - polylined 12"